In this two-part webinar series, we invite you to reflect on the use of instructional technology to support teaching and learning (“digital learning”) at your institution and compare your views to those of over 1,100 administrators nationwide. To what extent do you agree or disagree with the following statements? How does that compare to your peers in higher ed? This series will feature highlights from Tyton Partners’ Fall 2016 survey of over 1,100 administrators across public and private four-year and two-year institutions. In the first session, we will share an overview of the study and respondent sample and a snapshot of administrator responses to questions about the state of digital learning at their institutions. In the second session, we will share segmentation built by a cluster analysis of the administrator responses. All participants in the webinars will receive a copy of the research publication when released in the spring of 2017. Gates Bryant, Partner, Tyton Partners – Gates is an experienced general manager and strategy consultant with a successful track record for bridging the gap between innovative strategy and practical execution. He joined Tyton Partners as a partner in 2011. Prior to joining Tyton Partners, Gates was an executive with Houghton Mifflin Harcourt, working in strategy, product management, and finance during a period of dramatic change in the educational publishing and technology industry. Prior to joining Houghton Mifflin Harcourt, Gates spent seven years as a strategy consultant with the Parthenon Group. He advised clients on issues of revenue growth, profit improvement, and opportunities for mergers and acquisitions in the information, education, publishing, and technology industries. 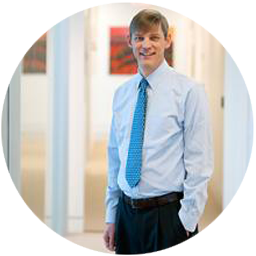 Gates began his career as an investment consultant with Cambridge Associates where he evaluated global private equity and venture capital funds on behalf of foundations, endowments and other institutions. From 2010 to 2014, Gates served on the start-up team of Edify, a US-based nonprofit that provides microloans, curriculum, and training to Christian schools in Africa and Latin America. Gates holds a BA in Government from Dartmouth College and an MBA from the Tuck School at Dartmouth. 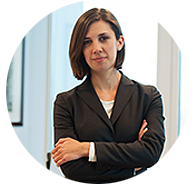 Emily Lammers, Principal, Tyton Partners – Emily joined Tyton Partners in 2014 as a Principal in the strategy consulting practice. Prior to joining Tyton, Emily was a 2012–2013 Education Pioneers Analyst Fellow at the Achievement Network. The fellowship is part of a national program that places talented early-career professionals into leading education organizations. Emily’s professional background is focused in finance. She started her career as an investment banking analyst for JPMorgan and later became an investment analyst at the International Finance Corporation, the private-sector arm of the World Bank Group. At JPMorgan, her responsibilities included debt and equity capital raises, along with advising on mergers and acquisitions for clients in the diversified industrials space. Emily earned a BBA from the Stephen M. Ross School of Business at the University of Michigan, graduating with high distinction.